Spellcheckers and grammar-checkers have definitely come a long way in the past few years. To see what the latest technology is like, I recently signed up for a temporary membership to Grammarly, which allowed me to use their automated grammar-checker and find out how it might stack up against a professional dissertation editor. The results? On the one hand, I was impressed with the sophistication of the technology. The program clearly understands basic English syntax and predicts common errors. But the fact was, 95% of the constructions it flagged were useless. 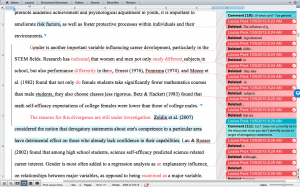 In short, there’s STILL no substitute for a real, living, intelligent dissertation editor. The main goal of a dissertation is to establish a sound argument. As a candidate, you want to persuade a critical audience (your committee and colleagues at large) that your research is solid, your methodology is appropriate, and your dissertation makes a valuable contribution to the current pool of literature. To accomplish this with authority, you need clear, concise, and disambiguated language of a complexity that often exceeds the scope of automated checkers. 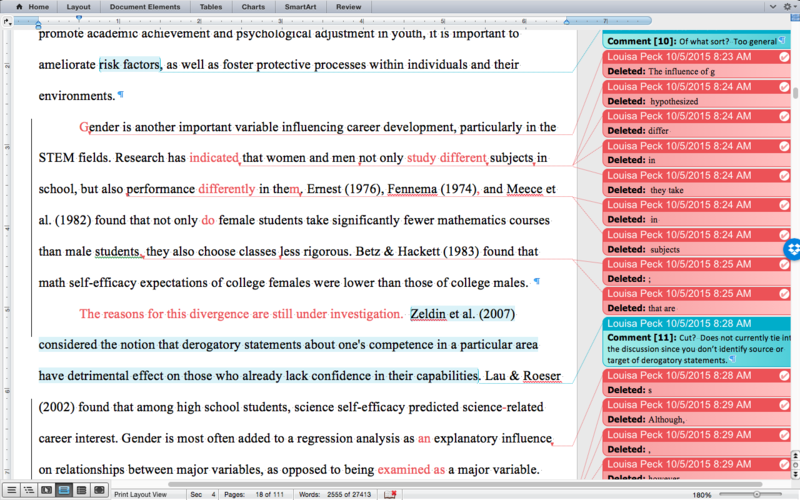 A professional editor follows your argument from the perspective of your committee. S/he looks for places where the language could be tightened, or where a possible derailment of ideas can be avoided. Automated checkers cannot achieve this. There are times when passive voice is appropriate, when you do want to use to relative clauses in a row, and so on. It all depends on context. Lastly, when your writing flows more smoothly and efficiently, your reader is more likely to be convinced of your points. As a professional writer and instructor of writing, I’m able to fortify your verb use and vary your choice of phrase construction. Often writers have a few syntactical forms they prefer and rely on heavily, while they leave a wide array of other possibly constructions untapped. My job as an editor is not only to catch errors and clarify your argument, but to vary your sentence types and structures to facilitate optimal readability for your audience.